One of the almost universal phenomena that I see in people using PEMFs, regardless of PEMF system, is that people almost universally describe improvement in sleep. Because of this feedback, I felt it was important to dedicate an update to the subject. Sleep disturbances are very common: from multiple awakenings, problems falling asleep, long waking hours during the night and/or early awakening in the morning. This is not even to take into account sleep disruptions caused by physiological urges such as needing to go to the bathroom or hot flashes. 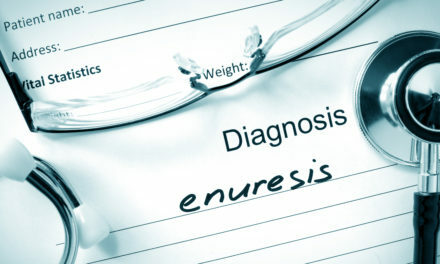 Sleep disturbances are very common in people with electrical hypersensitivity syndrome, and can even occur in people who have taken all the right steps to optimizing sleep hygiene, such as, closing the blinds, reducing all the lights in the bed room, eliminating all extraneous sounds in the bed room, etc. Insomnia affects at least 20% of the population at some time. It is not a disease – there is no single definition of insomnia that can apply to all people. The amount of sleep that an individual requires is variable, but it is said that most adults need about 7-8 hours of sleep per night to be healthiest. On the other hand, sleep deprivation leads to a host of physiologic disturbances and stress. With recurrent or daily loss of sleep, individuals can even develop a sleep deficit that needs to be compensated for with extended sleep periodically. People who experience regular insomnia or sleepless nights have significant amounts of distress and anxiety, poor daytime performance and daytime sleepiness. Various studies have shown that poor sleep quality can have a negative influence on worker or driver safety and performance, and disruptions of sleep patterns, particularly rapid eye movement (REM) dream sleep, are associated with decreases in memory function and learning. Unfortunately, the most commonly used medical approach to treat sleep disorders is drugs. There are many problems with these medications, not the least of which is addiction and major problems with withdrawal. So there is some public health and personal urgency to make available lower-risk approaches. This is why I have long explored the use of PEMFs to help with sleep. There are 2 types of rhythms or internal clocks associated with sleep: circadian or ultradian rhythms. Circadian rhythms are 24-25 hour cycles and are usually in sync with local day and night times. Ultradian rhythms are 90-120 minute cycles that occur both when we are awake and asleep, but usually refer to the different stages we go through during normal sleep. Ultradian rhythms occur within daily (circadian) rhythms – they occur multiple times per day. One aspect of sleep disorders is disruption of circadian rhythms. Every living creature has circadian rhythms in their organ functions. Circadian rhythms control virtually all human functioning, primarily through the regulation of hormone production in the body. They are critical to human life. These internal rhythms usually override environmental influences in order to maintain balance in the body. Circadian rhythms include control of circulatory and metabolic functions, body temperature and brain activity. Physiologic or functional changes are triggered by these internal biological clocks. Medical research uses physiologic functions to describe aspects of the physical changes seen in human sleep, such as: brain activity, heart rate, respiration and movement. These are called sleep parameters. Sleep parameters influenced by external or internal stimuli can affect perceived sleep quality either positively or negatively. Sleep is stimulated, among other factors, by excretion of large quantities of the hormone melatonin from the pineal gland during the dark of nighttime. Light inhibits the production of melatonin (but does not stop it altogether). Besides being involved in the entrainment of the circadian rhythm, melatonin is also involved in other physiological functions like blood pressure regulation. It is also a powerful antioxidant. There is research to suggest that long-term reduction of melatonin can potentially promote cancer, because melatonin has a natural effect of scavenging radicals, which if not controlled, can lead to cancers. 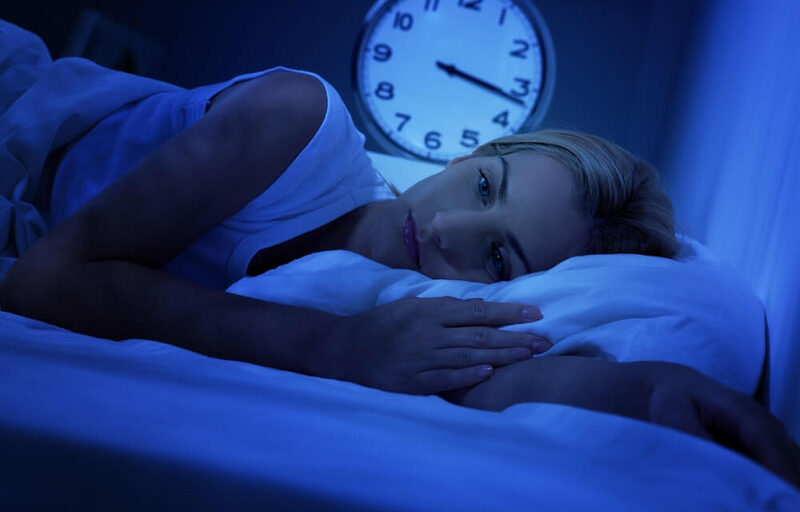 There are many therapeutic approaches to helping with sleep disorders. The most commonly used are medications, herbs and supplements. In fact, supplemental melatonin is used frequently for this purpose. Meditation, relaxation, breathing exercises, and prayer are often also used with some success. Adhering to principles of good sleep hygiene is also necessary to achieve the best results. Another important and effective approach is to synchronize brainwave patterns to shift disturbing patterns into the same ones seen in normal sleep. This is sometimes done with sound or other external stimuli, and this is where PEMFs can be very effective. There is also research on the effects of PEMFs on circadian melatonin rhythms, primarily in animals. A number of animal studies show a decrease in melatonin production with exposure to PEMFs. This has raised a concern about the effects of environmental EMFs on humans too. However, human studies have failed to reproduce these results. So, humans appear to act differently than animals with exposure to PEMFs relative to melatonin production. On the contrary, PEMFs appear to improve and induce sleep. Studies of brainwave electrical activity recordings have found different stages of sleep, with there being 2 primary stages: rapid eye movement (REM) and non-rapid eye movement (NREM). These stages are different in intensity and frequency of the brainwave activity. NREM sleep makes up about 80% of total sleep time in the adult. The most critical and restorative part of NREM sleep occurs during slow wave sleep (SWS). Most SWS occurs early at night, usually in the first 3 hours of sleep. SWS is the deepest, most difficult to interrupt, and most refreshing of the sleep stages. This time is also called Delta sleep, the time in which the brainwave patterns are in the lowest frequencies, typically between 1 – 4 Hz. So, a major goal of PEMF therapies for sleep disorders is to alter disruptive sleep wave patterns. It is a principle of basic physics that molecules or electrical activity resonate. When presented with an external resonating stimulus, dynamic, resonant molecules or electrical activity begins to react to the stimulus frequencies by setting up a mutually resonant pattern. This is called frequency following or entrainment. Therefore, PEMFs can affect the electrical activity of the brain to either slow it down or speed it up. To varying degrees, this will then change the frequencies of the brain to shift to patterns that enhance sleep. So, these studies are important for us to confirm that PEMFs do affect brainwave frequency patterns, and that these results are not just by chance alone or a placebo or expectancy response. While home-based power frequency field intensities do not appear to do disrupt sleep, the same may not be true for other field exposures. Negative EMF effects on sleep have been found in people exposed to short wave or radiowave signals, by living near transmitter stations. Sleep disturbances were more frequent with increasing transmitter signal strengths. In one case, when the radio station was shut down, there was a statistically significant improvement of sleep quality after only one day. Fortunately, melatonin levels were not affected by the magnetic field strength. 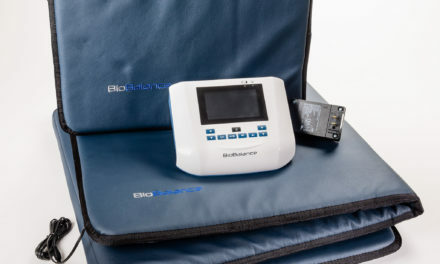 So, sleep disturbances can be very significant when one is sleeping in the home environment near a strong transmitter. It becomes almost impossible to fix this problem without moving away from the transmitter. Therapeutic PEMF therapies that modulate brainwave frequencies may be able to help to counteract the transmitter signals. Because the brain is a dynamic and bioelectric organ, and sensitive to PEMFs, PEMF therapies should be considered to help people having problems with sleep. All kinds of PEMF systems have been studied to enhance sleep, from very weak microtesla fields to very powerful multi-Tesla fields. 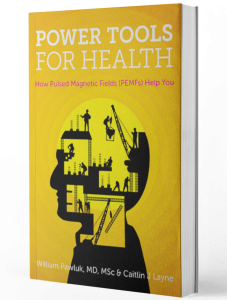 While my experience has been that most people who use PEMFs systems find they sleep better when they are used in the evening, this review is helpful to provide the science behind these observations. Anybody who currently owns a PEMF system could regularly use it before bedtime to help with sleep. Anybody with health issues, especially chronic pain, would benefit from PEMFs not only for the relief of pain but also to help with sleep. As we discussed above, PEMFs can also help with depression, not the least of which benefit may be due to enhancement of sleep. Many PEMF systems are limited by the time that a treatment cycle runs. That is not necessarily a problem when used before bed. However, if it is found that the PEMF system chosen only works for a short time, that is, sleep is interrupted within 2 or 3 hours or bedtime, then a system that can run all night long may be needed. Or, the treatment can be repeated again during the night. For this purpose I would tend to use the highest intensity available, unless extra sensitive, to more quickly recapture the desired sleep inducing brainwave frequencies. I would also usually stay away from higher frequency (over 8Hz) magnetic fields in the evening and overnight, as some research has shown that they may excite the brain. Increased excitability or activity of the brain is common in sleep disorders. This is based on the principle of resonance – higher frequencies tend to make you more alert by increasing brain excitability or activity. On the other hand, higher frequencies above 40 Hz, from the above research, may stimulate REM sleep or dreaming. This could be of practical value for people who want to do dream work. Still, I would not use frequencies higher than 40Hz during the early part of the night. It’s also possible that a magnetic system may be necessary that allows the selection of different frequencies. 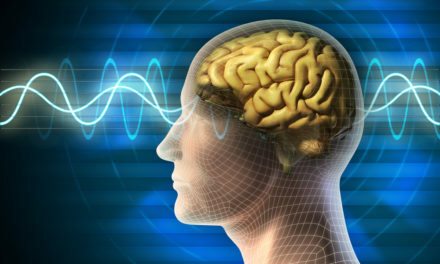 In the past, various sound light systems were developed that did ramping up or down of different frequencies, trying to emulate the brain’s own natural rhythms. Some people may find ramping a preferred approach. However, I have found that presenting the brain with a single frequency or narrow band of frequencies (that is low enough and strong enough to adequately entrain brain frequencies) will cause enough areas of the brain to fire at the entraining frequencies, to help to restore or induce sleep. Since different areas of the brain are firing at various frequencies, even in sleep, the extent to which the brainwave frequencies are entrained or whose attention is “grabbed” by a specific chosen PEMF stimulation frequency, is the extent to which the depth and duration of sleep will be affected.